Product #16868 | SKU 2458Z00100 | 0.0 (no ratings yet) Thanks for your rating! 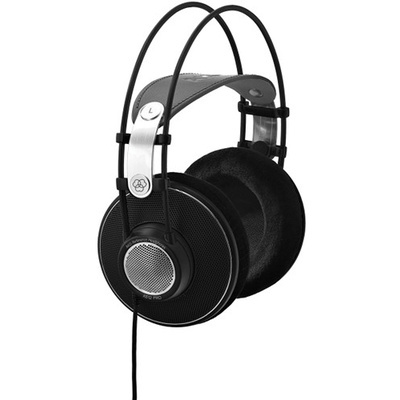 The K612 PRO Over-Ear Reference Studio Headphones from AKG have an open-back, over-ear design and feature neodymium magnet drivers. Their self-adjusting leather headband and velour ear cups are designed to provide comfort while in use. The K612 have a 3-metre long cable that terminates in a gold-plated 3.5mm connector. A gold-plated 1/4" adapter is included.